Consumer Reports WebWatch released the results of an ethnographic study on how children interact with online environments. The study, “Like Taking Candy from a Baby: How Young Children Interact with Online Environments,” used ethnographic methods and focused on young children, ages 2½ to 8. For the study, parents in 10 families used video cameras to keep journals, providing insights into the way children use sites such as Club Penguin, Webkinz, Nick Jr., Barbie.com and others. 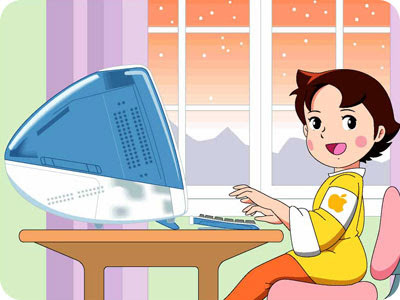 Footage from those journals, which can be viewed at www.youtube.com/cwwkids, illustrates how young children respond to advertising and marketing tactics online. The digital world offers a wealth of opportunity for young children to play and learn. But even in this small sample of 10 families the study found—too easily, in several circumstances—repeated examples of attempts to manipulate children for the sake of commerce. * Even the very young go online. * The Internet is a highly commercial medium. * Web sites frequently tantalize children, presenting enticing options and even threats that their online creations will become inaccessible unless a purchase is made. * Most of the sites observed promote the idea of consumerism. * Logos and brand names are ubiquitous. * Subtle branding techniques are frequently used. * The games observed vary widely in quality, in educational value, and in their developmental match with children’s abilities. Tomado del Blog de Experientia.